We are delighted to announce that we have finalised our Capability Statement which can be viewed by clicking here. 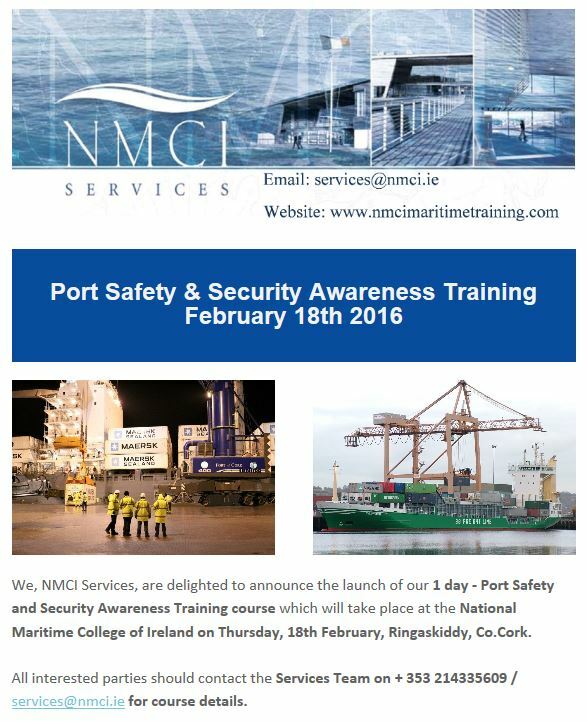 Our Capability Statement publication showcases all of our courses, facilities and capabilities here at the National Maritime College of Ireland (NMCI). The Capability Statement features information about our STCW Courses, STCW Refresher Courses, OPITO, Simulation, Port and Bespoke Courses. The brochure also includes details regarding our $100 million dollar training facility, our academic courses and Team Building. To download your own copy today click on the following NMCI Services Capability Statement or to view online click here. Why not contact us for further details on upcoming courses or discuss bespoke course opportunities.